Up until now, the majority of literature about service learning has focused on urban areas, while comparatively little attention has been paid to activities in rural communities. 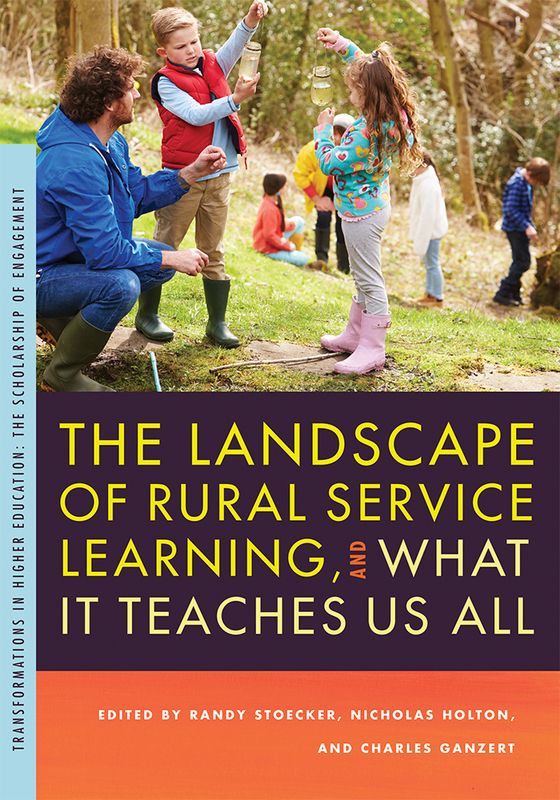 The Landscape of Rural Service Learning, and What It Teaches Us All is designed to provide a comprehensive look at rural service learning. The practices that have developed in rural areas, partly because of the lack of nonprofits and other services found in urban settings, produce lessons and models that can help us all rethink the dominant forms of service learning defined by urban contexts. Where there are few formal organizations, people end up working more directly with one another; where there is a need for services in locations where they are unavailable, service learning becomes more than just an academic exercise or assignment. This volume includes theoretical frameworks that are informed by the rural, concrete stories that show how rural service learning has developed and is now practiced, practical strategies that apply across service learning contexts, and points to ponder as we all consider our next steps along the path of meaningful service learning. Randy Stoecker is a professor in the Department of Community and Environmental Sociology at the University of Wisconsin–Madison, with a joint appointment in the University of Wisconsin–Extension Center for Community and Economic Development. Nicholas Holton is associate dean emeritus at Kirtland Community College in Roscommon, Michigan. Charles Ganzert is a professor in the Communication and Performance Studies Department at Northern Michigan University, where he teaches media law, audio production, documentary, and media management.